Earlier today, Nov. 12, the European Space Agency’s Rosetta spacecraft deployed the special cargo it’s been carrying for over a decade — the Philae lander. Philae is currently descending toward a comet and if all goes well, it will be the first time in history that humans have ever landed on a comet. 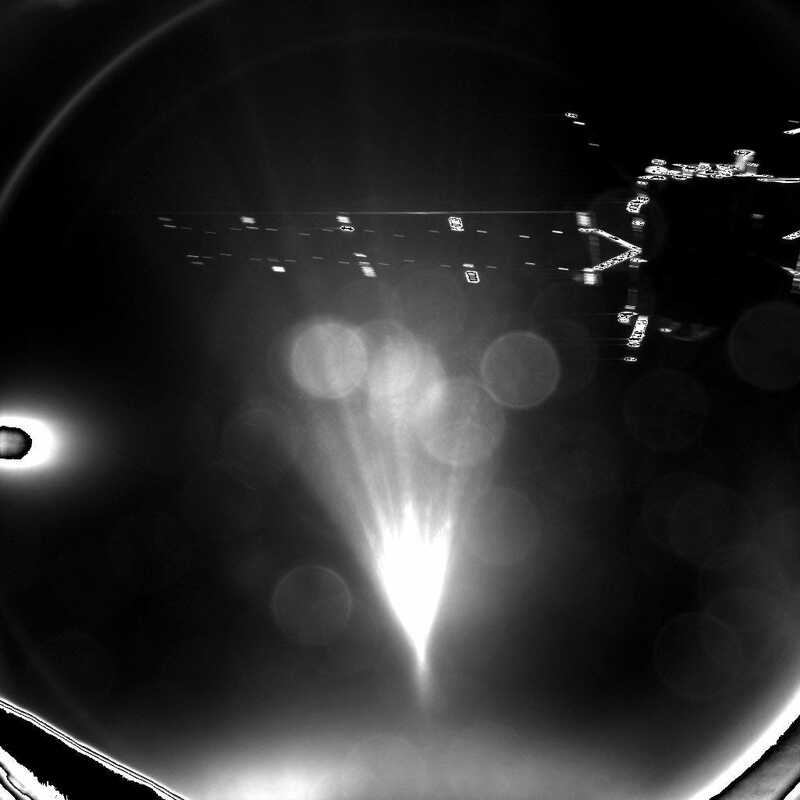 Right now, Philae is using cameras on board to snap images of the comet and its surroundings as it makes its way downward. Here is the first image Philae sent back to Earth. You can see the Rosetta spacecraft above in the upper right hand corner. The Philae landing is the last and most important part of the Rosetta mission. It’s a mission for knowledge and for science that could ultimately tell us whether comets were responsible for bringing water to Earth that then cultivated the conditions for life. Watch the events unfold live.